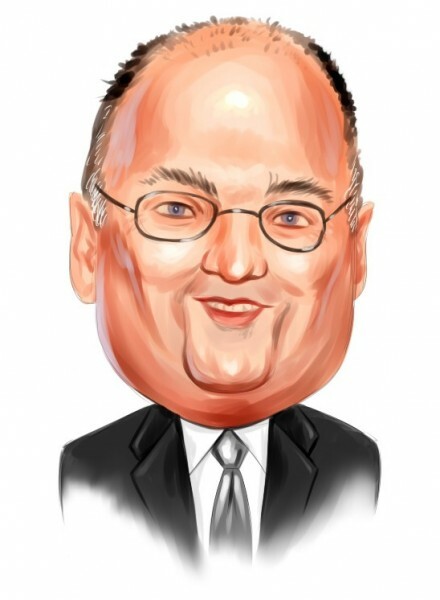 Is Parsley Energy Inc (PE) Going to Burn These Hedge Funds? The 700+ hedge funds and money managers tracked by Insider Monkey have already compiled and submitted their 13F filings for the second quarter, which unveil their equity positions as of September 30. We went through these filings, fixed typos and other more significant errors and identified the changes in hedge fund positions. Our extensive review of these public filings is finally over, so this article is set to reveal the smart money sentiment towards Parsley Energy Inc (NYSE:PE). Parsley Energy Inc (NYSE:PE) shareholders have witnessed an increase in hedge fund sentiment in recent months. PE was in 44 hedge funds’ portfolios at the end of September. 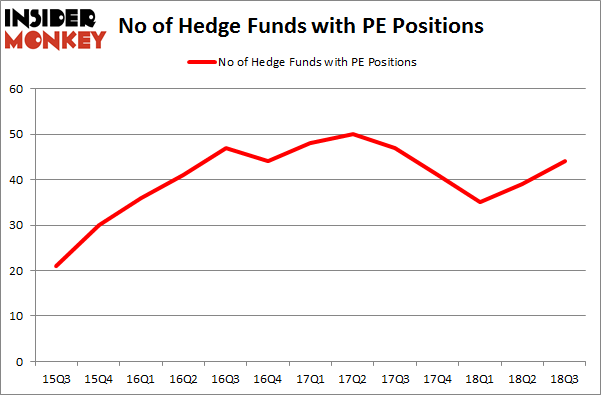 There were 39 hedge funds in our database with PE positions at the end of the previous quarter. Our calculations also showed that PE isn’t among the 30 most popular stocks among hedge funds. Today there are numerous indicators market participants can use to size up publicly traded companies. Some of the most under-the-radar indicators are hedge fund and insider trading signals. Our researchers have shown that, historically, those who follow the top picks of the elite money managers can outclass the S&P 500 by a superb amount (see the details here). Let’s analyze the recent hedge fund action surrounding Parsley Energy Inc (NYSE:PE). How are hedge funds trading Parsley Energy Inc (NYSE:PE)? At Q3’s end, a total of 44 of the hedge funds tracked by Insider Monkey were bullish on this stock, a change of 13% from one quarter earlier. By comparison, 41 hedge funds held shares or bullish call options in PE heading into this year. So, let’s review which hedge funds were among the top holders of the stock and which hedge funds were making big moves. More specifically, Viking Global was the largest shareholder of Parsley Energy Inc (NYSE:PE), with a stake worth $486.1 million reported as of the end of September. Trailing Viking Global was Adage Capital Management, which amassed a stake valued at $170.2 million. Millennium Management, Point State Capital, and Point72 Asset Management were also very fond of the stock, giving the stock large weights in their portfolios. As industrywide interest jumped, specific money managers were leading the bulls’ herd. Impax Asset Management, managed by Ian Simm, established the biggest position in Parsley Energy Inc (NYSE:PE). Impax Asset Management had $13.7 million invested in the company at the end of the quarter. Till Bechtolsheimer’s Arosa Capital Management also initiated a $9.5 million position during the quarter. The other funds with brand new PE positions are Brett Hendrickson’s Nokomis Capital, Philip Hempleman’s Ardsley Partners, and Brandon Haley’s Holocene Advisors. Let’s now take a look at hedge fund activity in other stocks – not necessarily in the same industry as Parsley Energy Inc (NYSE:PE) but similarly valued. We will take a look at Tableau Software Inc (NYSE:DATA), The AES Corporation (NYSE:AES), China Eastern Airlines Corp. Ltd. (NYSE:CEA), and Reinsurance Group of America Inc (NYSE:RGA). This group of stocks’ market valuations resemble PE’s market valuation. As you can see these stocks had an average of 20 hedge funds with bullish positions and the average amount invested in these stocks was $742 million. That figure was $1.57 billion in PE’s case. Tableau Software Inc (NYSE:DATA) is the most popular stock in this table. On the other hand China Eastern Airlines Corp. Ltd. (NYSE:CEA) is the least popular one with only 1 bullish hedge fund positions. Compared to these stocks Parsley Energy Inc (NYSE:PE) is more popular among hedge funds. Considering that hedge funds are fond of this stock in relation to its market cap peers, it may be a good idea to analyze it in detail and potentially include it in your portfolio.